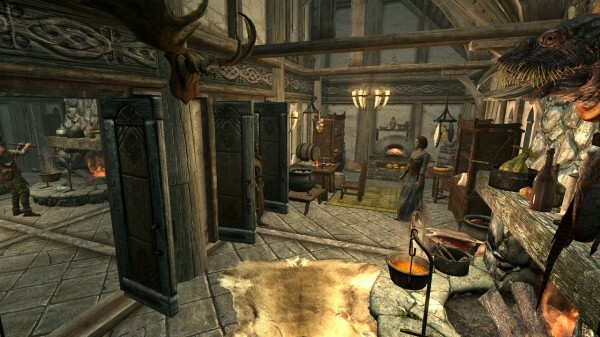 The Elder Scrolls V: Skyrim's Hearthfire add-on will only appeal to a certain type of gamer. Furthermore, its slow and menial nature provides more work than fun. Like its predecessors, The Elder Scrolls V: Skyrim offers an almost endless amount of content, containing everything from main quests and secondary missions to miscellaneous objectives and favours. There’s so much to do that one could easily spend hundreds of hours questing, learning and improving, providing an experience that is long-serving, incredibly addictive and very well-made. In fact, those are some of the key reasons as to why the game launched to such a large amount of buzz, as well as why its core experience hasn’t disappointed fans of the long-running role-playing franchise. Since last November, we’ve been able to jump into the game in order to fight dragons, join a guild and/or attempt to save a beautiful and very exotic fantasy land through the use of polished gameplay mechanics. Of course, that list was recently expanded with the option to become a feared vampire lord, thanks to the game’s Dawnguard expansion, with the quest line’s opposite goal being to destroy a blood-sucking sect’s maniacal leader with the help of some experienced slayers. However, the folks at Bethesda Game Studios decided to go down an unexpected route with its latest downloadable add-on, Hearthfire. Those who’ve ever wished to make an impact on both the open landscapes and orphaned children of Skyrim can do so now, thanks to what is a five-dollar download on Microsoft’s Xbox LIVE Marketplace. You see, instead of having to purchase a pre-determined house, questing heroes can now purchase up to three plots of land, wherein they can build their own digital dream homes from a varied list of parts. It’s almost as if a hint of Minecraft became trapped within the storied land, although most of the building is done by third party assistants known as housecarls. 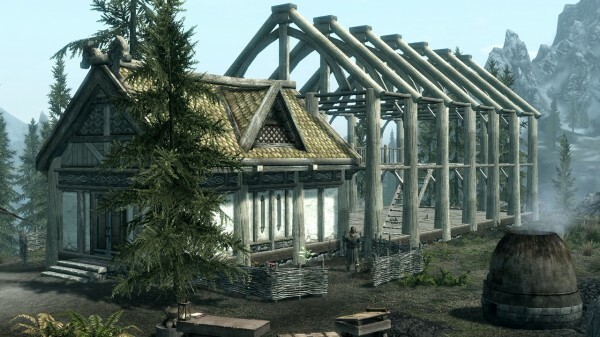 Building a house requires that you’re a Thane in at least one of three specific holds: Falkreath, Hjaalmarch or The Pale. That’s something which those who’ve spent hours within the game may have already accomplished, but gamers who have yet to become friends of the local Jarls by doing favours and important quests will need to fulfill that part of the bargain before they’ll be able to purchase land from the leaders’ stewards. The good thing is that this requirement adds incentive to do even more quests within the main game, although I had to actually research the add-on before I knew what to do, due to the fact that I never received its bulletin from a courier. If I had, it would have stated that land was available for purchase in Hjaalmarch, due to a previously-completed favour, and probably would have mentioned who I need to talk to. However, that never occurred during hours of questing. Once a player has become a beloved Thane in his chosen hold, a five-thousand gill deposit must be made in order to secure its available plot of land. Then, following that transaction, a miscellaneous quest line pops up, forcing the adventurer to trek to the newly-purchased site with a friendly housecarl. After completion of that objective, house designing can begin, although it must be noted that the process requires quite a bit of travelling and a lot of smithing. At first, only a small house can be selected from an architectural plan, with gamers needing to purchase or create each part’s required supplies, such as clay for its foundation, as well as a combination of wood and nails for its walls and ceiling. Once that necessary starting point has been erected, a large two-storey main hall must be built before up to three selected additions can be created. It’s that latter customization process that most will prefer over any other part of the building process, because one can choose to add things like a large bedroom, a personalized alchemy lab, a studious library or a necessary storage room. By making those decisions, the house becomes personalized, and will apply itself to whatever the unique adventurer requires. Customized homes can be accentuated with miscellaneous add-ons such as a hay-filled stable, a fertile garden, clucking chickens and hired help, with the latter item on that list encompassing both a bard and a carriage driver. Needless to say, there’s quite a bit to do before you get to the furnishing process, which is reminiscent of real-life. The easiest way for one to make a house into a home is for that person to ask the housecarl to auto-furnish individual rooms, though that comes with two catches. First off, it’s very pricey. Secondly, it’s an incredibly slow process that can take days, which is odd considering the fact that buildings go up almost instantaneously and the supplies that the helper can purchase arrive quickly. As a result, it’s almost better to find the required materials for each type of furniture you’d like to create, which will let you make them on your own using the workbenches that dot each room. Generally speaking, the process is quite easy to get the hang of, provided that you’re aware of how to get all of the required supplies. Iron-based items like locks and hinges can be made using a blacksmith’s forge, and clay can be mined provided that one has a pickaxe, while both wood and stone can be purchased with ease. The only real wildcards are glass and straw, which must be purchased from a specified shop. It’s all rather straight-forward, but happens to be rather time consuming. Plus, it’s easy to run out of supplies. As mentioned above, one of the main benefits that comes with building a dream home in Hearthfire is the opportunity to create a digital family. Your wife will move in as long as she has basic necessities, but adopting orphaned children requires more work. They’re not particular, so the building guide says, but they do require a specific type of bed and a small chest for storage. That sounds easy enough, right? Well, it is in principle, but I had quite a bit of trouble with the (finicky) process. Even though I had two of the required bed type and one of the required chests, it wouldn’t let me say anything to the child I wanted to adopt, apart from, “I have a home, but no room for you.” However, I eventually became able to adopt after building one more small chest and removing the workbench from that particular bedroom. Becoming the legal guardian of one of the land’s forgotten children comes with a fleeting sense of personal reward, but it doesn’t offer much in the way of game-changing benefits. Taking on a ward gives you someone else to worry about and feed, along with someone to play tag or hide-and-go-seek with, but it won’t revolutionize your experience in any way. Sure, you can try to get into digital parenthood by assigning chores and buying clothing for the young lad or lass, but most won’t bother going to all of that trouble. They will, however, want to return to a homestead if it becomes the target of a baddie attack. 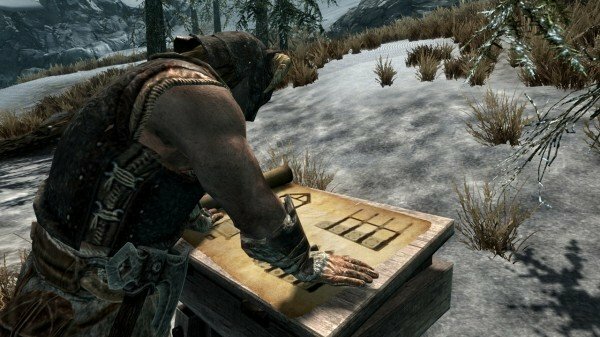 If all of the above descriptors detailed an experience that you’ve been wanting from The Elder Scrolls V: Skyrim, then Hearthfire will be right up your alley. However, it’s certainly not for everyone, and is almost more menial and frustrating than entertaining. Sure, it’s nice to see a house that you’ve helped to design become a reality, wherein your assumed family can live, but the excitement that comes with that option wears off quickly. As a result, this add-on will only be for the creators who love to sit and build things in video games, as opposed to the majority who would prefer to quest instead of taking on such a menial task for limited benefit. Plus, let’s not forget that the option to own a house was already available within the core game, even if these optional abodes look a lot nicer. In the end, it’s tough to recommend Hearthfire. While it’s certainly not bad by any means, it’s unremarkable. Additionally, it’s far from exciting, and feels overly expensive at its five-dollar (4oo Microsoft Point) price tag. If the experience had been less problematic, it would have been more enjoyable, but my overall feeling regarding this pack is one of indifference. 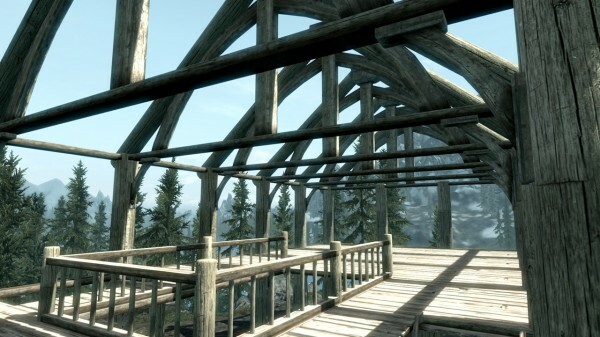 However, that doesn’t mean that others won’t enjoy becoming Skyrim‘s newest architect. This review is based on a copy of the add-on that was provided to us.